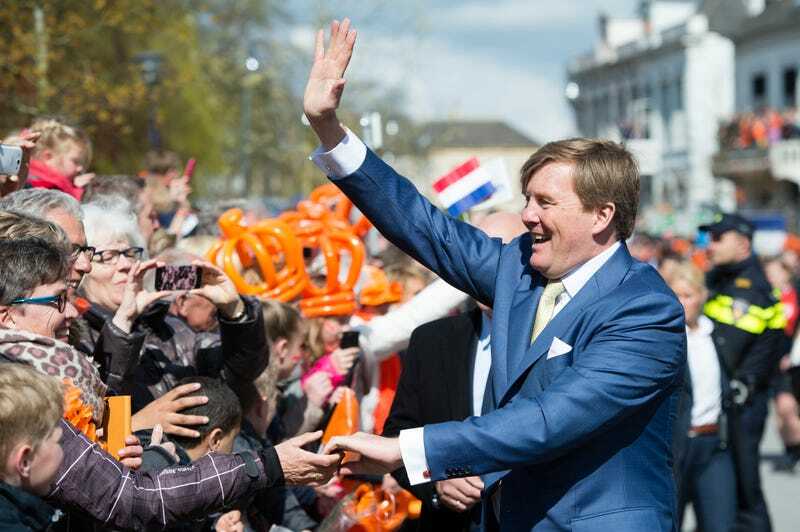 KLM Royal Dutch Airlines has officially earned its name, because a literal Dutch royal—namely, King Willem-Alexander—has secretly been working as a pilot for the airline for the past 21 years. That’s quite a side hustle. Leading a nation can be stressful, so Sky News reports the king found an interesting way to keep himself from losing it: he’s been copiloting a Fokker 70 airplane twice a month on short flights around the Netherlands, he said in an interview published Wednesday. The advantage is that I can always say I am speaking on behalf of the captain and crew to welcome them on board, so I don’t have to say my name.﻿..But then, most people don’t listen anyway. KLM is phasing out those Fokker 70s, so the king will soon be learning how to fly Boeing 737s, Sky News says. Though now that his secret is out of the bag, maybe piloting for a public airline will become a bit more complicated. Kysia Hekster, a reporter who covers the Dutch royals for the broadcaster NOS, said the interview was intended to highlight the king’s role with the national carrier after he was criticized for taking Emirates Airlines last year to visit Australia and New Zealand. I think it’s safe to say that nobody gets to criticize the king anymore for that incident. Twenty-one years at the helm with KLM—especially while keeping it under wraps—is just downright impressive.